Wine developed ‘en barrique’ (in an oak barrel) cultivates new and exciting aromas and tannins. Being able to recognise thse unique and sometimes complex aromas can be tricky. Train your nose to notice ‘en barrique’ scents with the aid of the AROMABAR 12 Oaked Wine Aromas. Familiarise yourself with the new notes of vanilla and liquorice, as well as roasted aromas such as coffee, toast, caramel and chocolate. 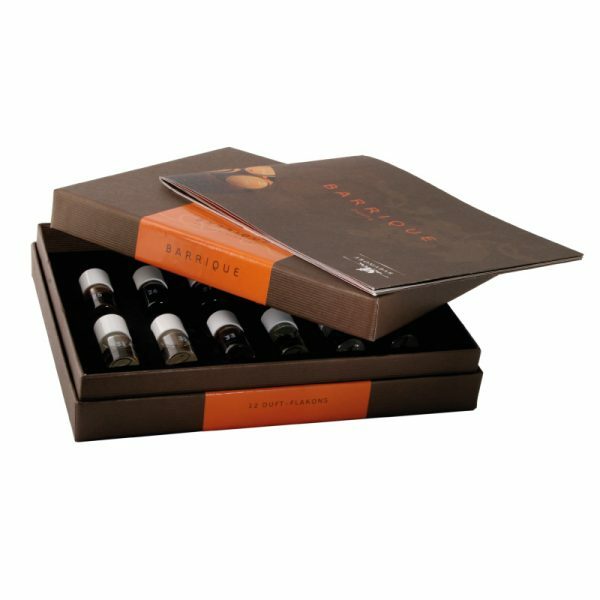 Contains 12 oaked wine aromas in multiple-use vials.